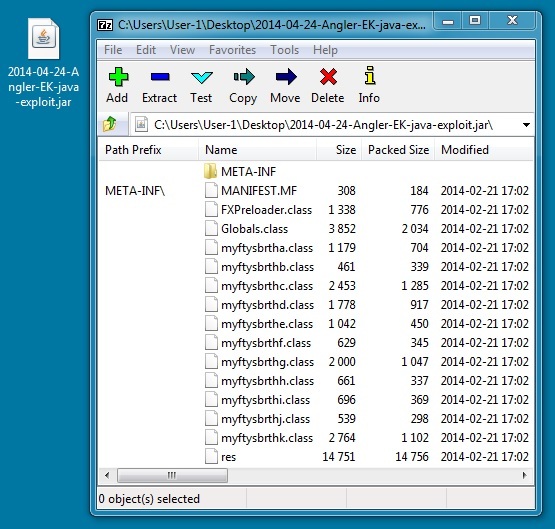 After finding a redirect to Angler EK on scumware.org, I investigated further, using different VMs to get the associated Flash, Silverlight, and Java exploits. 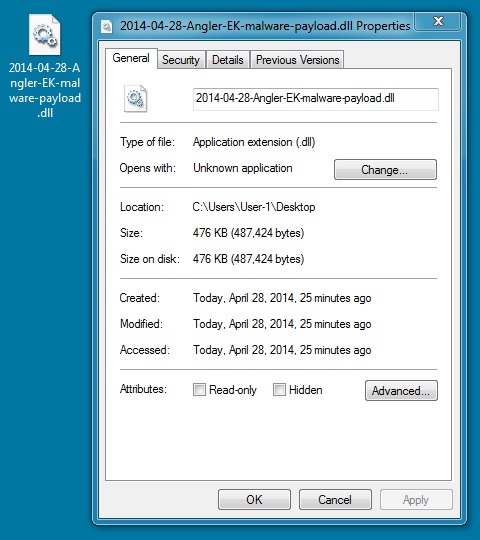 This is very much like the Angler EK traffic I found a few days ago on 2014-04-22. I've also done Angler EK writeups on 2014-02-26, 2014-02-27, and 2014-03-23. The malware is not just an XOR-ed payload with an ASCII string of 8 characters--other bytes are modified with Angler EK traffic, as noted here. I grabbed the malware payload from an infected host's AppData\Local\Temp directory.